Jump to video G20: What's at stake? 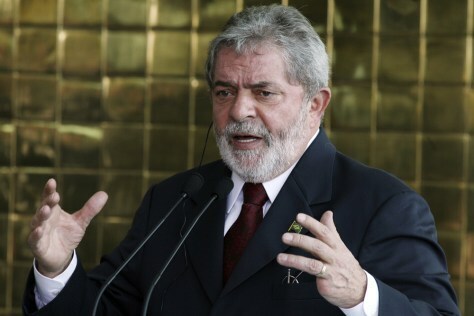 Brazil's President Luiz Inacio Lula da Silva during a news conference on Thursday. Lula's recent denunciation of the global economic crisis as one "created by white people with blue eyes" is a blunt summation of developing countries' stance ahead of the Group of 20 summit Thursday.